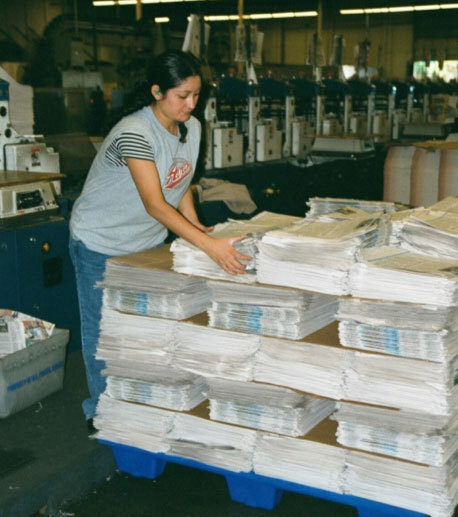 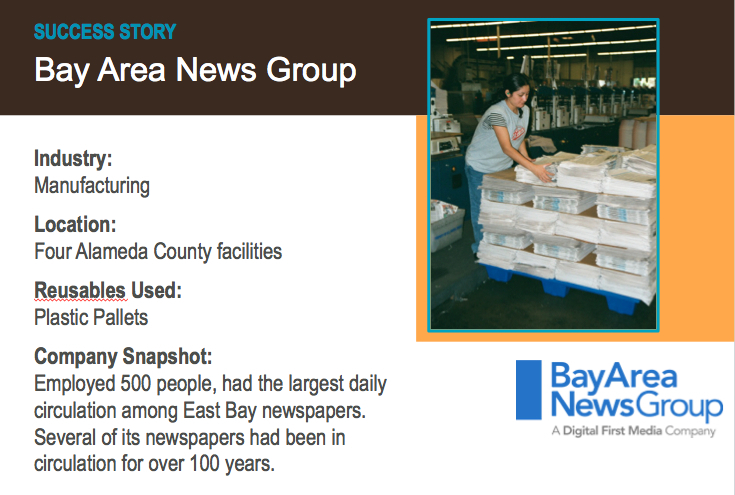 Before: Used wooden pallets to distribute papers between facilities. 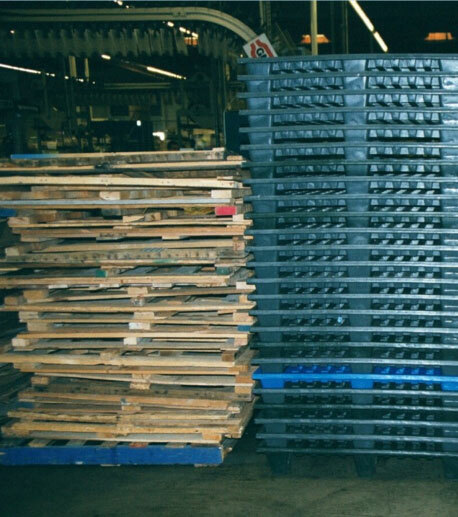 The wooden pallets were damaged with use and employees had to spend time repairing them. 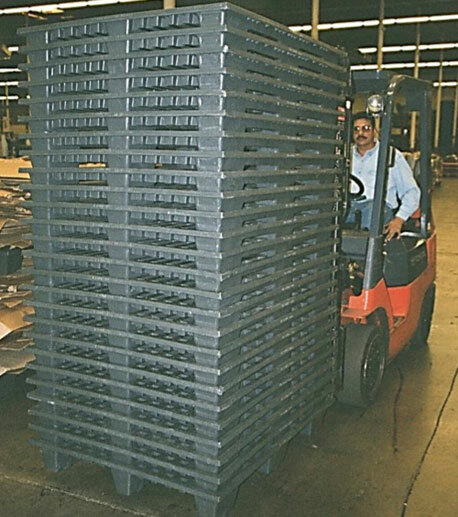 After: Switched to reusable plastic pallets which are more durable, freeing up workers from making repairs.